All this month we’ve been taking a look back and celebrating the wonderful achievements of our creative team in 2017. We kicked the month off in fine style with some of the excellent works of our Reiss, we then featured Laura, followed by Marek. As the month draws to a close, we’d like to end our series by acknowledging and celebrating the achievements of Malcolm Cochrane — a photographer that we have worked with many, many times over the years. Whether he was working on factory shots, intimate portrait images, or something a little more creative, Malcolm was always able to deliver photographs that told a story, had an enduring quality, and a sensitivity which regularly delighted. Pretty much another member of our creative team, we all loved working with Malcolm in 2017 and we can’t wait to work further with him in 2018. One of Malcolm’s greatest strengths is his ability to capture people and one of the best examples of this was with his capturing of Iona from Bridge Of Weir Leather. Iona is one of 10 leather production and manufacturing apprentices undertaking a 2-year course with Scottish Leather Group. As part of her apprenticeship, Iona will undertake many different roles within the factory. This effortless shot by Malcolm excellent captures Iona in front of the leather she has dedicated her career to learning about. Tradeprint are one of the largest print suppliers in the country providing an unparalleled level of quality and service. 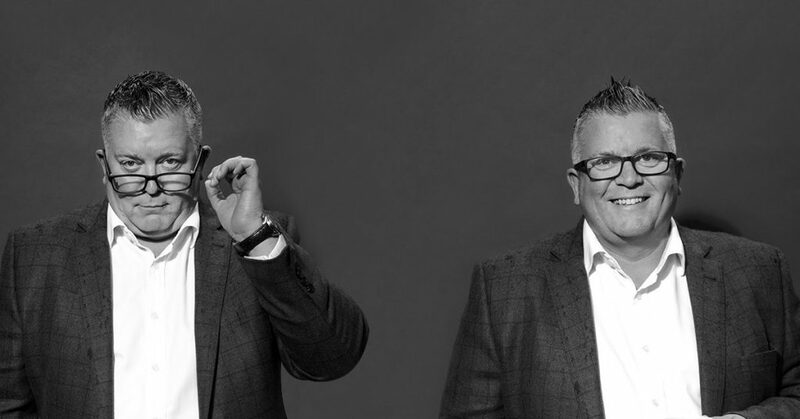 ‘The People Behind the Print’ was the campaign we co-created with them, highlighting the magnificent people in their team. People that really add value to the client relationships, the process, and what they are looking to achieve. Malcolm beautifully captured the entire team with a range of poses showing off the different sides of their characters. Subtle lighting, bold compositions, and a real variety of expressions truly brought these magnificent photographs to life. They became the focal point of a wonderful campaign. The loft have worked with Malcolm on many, many shoots and we have been privileged to have him photograph us many times. 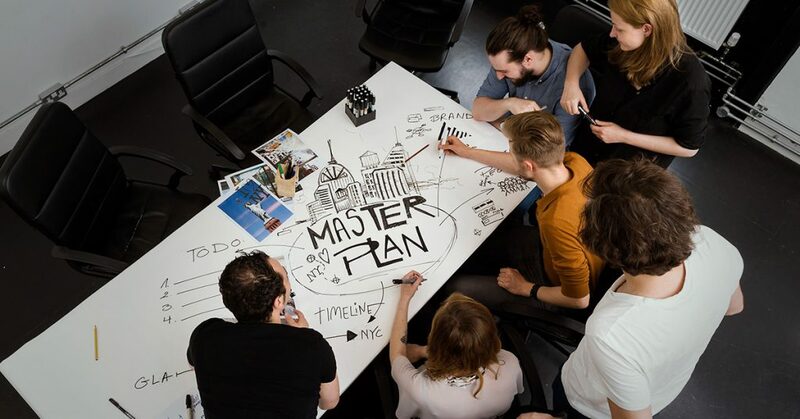 In the summer of 2017, Malcolm did this lovely little overhead shot of the loft team drawing out their master-plan for the future. A fun shot where he beautifully captures the energy of a dramatic scene from a wonderfully interesting angle. Another great image from what is an ever-growing collection. One of the great things about working with Malcolm is some of the brilliant off-camera moments he captures. A recent shoot with the great folk from Young Enterprise Scotland is about to spawn some brilliant new professional photos which are going to be used for a new publication. 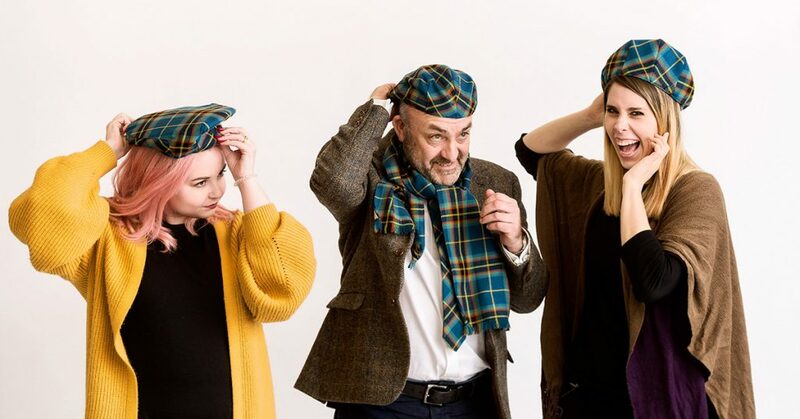 In between the serious stuff, Malcolm caught this fun image of Lucy, Geoff, and Christiana from Young Enterprise Scotland trying on their hats — complete with the YES tartan colours. This concludes Malcolm’s design highlights with the loft in 2017 and the end of the series. We’ve loved every minute of reliving these highlights and are massively, massively grateful for the entire contribution made by everybody in 2017. We look forward to seeing what everybody does in 2018.